Here's the 2-day agenda and the floorplan of the main venue 'Evoluon'. The intertwining technology trends of analytics, cloud, mobile and social are forever altering the way employees engage with one another, and with partners and customers. Join Inhi Cho as she discusses how IBM is transforming enterprise social and email solutions to help leading companies get ahead and take advantage of these trends. See how business communications can be taken to the next level with stronger analytics, integration with public social media, user-centric design, rapid cloud delivery and innovation, and broad ecosystem support. Also see some of our latest innovations come to life with onstage demos of our latest capabilities in IBM Verse, IBM Connections, Project Toscana and more. We close up with Warp-Speed Sponsoring! 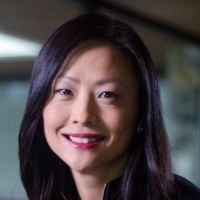 Inhi Cho Suh is currently the general manager of IBM Collaboration Solutions, responsible for driving the multi-billion dollar portfolio of SaaS and premise based software including IBM Connections, Verse, Notes/Domino and Sametime. In addition to overseeing this business, Inhi’s mission is to continue to evolve the products to include more of IBM’s deep cognitive and analytics capabilities, to provide both industry leading horizontal, as well as vertical collaborative solutions. Previously, Inhi was head of IBM Analytics Strategy & Business Development responsible for $18B+ Revenue and IBM’s most strategic growth imperative. The portfolio includes a range of software, services, and solutions spanning big data analytics to cognitive, internet of things, and social content collaboration. Inhi was responsible for the portfolio strategy, revenue growth, capital investment, and M&A globally. She led the recent strategic partnerships with Twitter, Box and acquisition of The Weather Company. Over the past 15 years, Suzanne Livingston has held a variety of roles within software development, including development, design, user research, and product management. 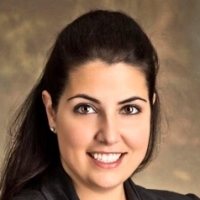 She currently manages a team of product and offerings managers in IBM’s Enterprise Social Solutions division, including mail, chat, meetings, audio/video, cognitive computing, social technologies, and more. 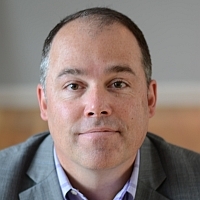 Christopher Crummey is the World Wide Executive Director of Evangelism and Customer Experience for IBM’s Enterprise Social Solutions. Christopher leads a global team of thought leaders in the areas of Social, Exceptional Digital Experience and the adoption and deployment of Social Business. He provides leadership around IBM’s strategy, communication of IBM’s point of view and demonstrates the integrated vision to our customers and extended ecosystem. 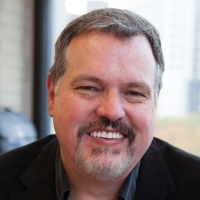 With 25 years of collaboration experience, Chris is one of the most sought after and popular keynote speakers at IBM and he has worldwide responsibility for all of the products that make up our customer solutions. 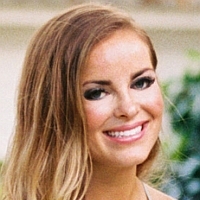 Sarah Gibbons is a Senior User Experience Designer at IBM, leading innovation within the Enterprise Social Software team as the Mobile Lead for Project Toscana. Previously, she contributed to multiple iterations of the IBM Connections Mobile app and served as a design educator, setting the standard and rigor for new-hires with IBM Design. There is a great deal of talk and positioning around Cognitive Computing. IBM is actually defining the market with Watson and related analytic solutions. So how does that intersect with social business and new ways to work? During this session we'll look as some of the work in this area and share some ideas about these very related topics. Louis Richardson cares deeply about exposing the creative potential in people. He currently serves IBM as a Storyteller & Enthusiast, which affords him the opportunity to work with business professionals around the world and share insights regarding social and smarter ways to work…and live. In this session a former International Launch manager for Lotus Notes gives a show and tell of Lotus Software. Carl Tyler has been using Lotus software for 27 years, in this fun look back Carl will share demos and fun stories of his experiences and travels using this historic collection of software, you'll see old software with live demos and some fun videos from the not so distant past. 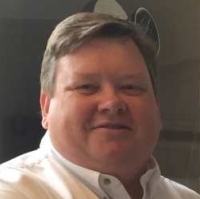 Carl Tyler heads the real-time collaboration division "Epilio" of Cornerstone Technology Partners. Epilio is a division focused on delivering high quality applications and turn-key solutions to clients of collaboration software from vendors such as IBM and Microsoft. 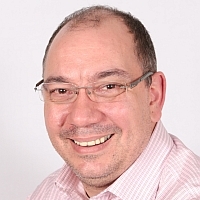 Carl has over 25 years of experience with collaboration software, including over nine years at Lotus Development and two plus years at IBM Development UK. Whilst at Lotus he was Worldwide Knowledge Management Manager and Lotus Notes R5 International Launch Manager. After leaving Lotus Development, he worked for UK based Virtual Village as VP of Development in their US office. Virtual Village was acquired in 2000 by the German company Job Pilot. Prior to starting Epilio, Carl co-founded award winning Instant Technologies. Stay for the 'Speedsponsoring' on Wednesday evening. It's fast, frantic and fun - and in just 3 minutes you'll learn something cool about each of our sponsors. On top of that: the BAR is open (serving excellent Belgian beers), and you might win something too! Tim Clark is a speaker that has been running around the Yellow block since 1994. IBM Champion 2013-2016. 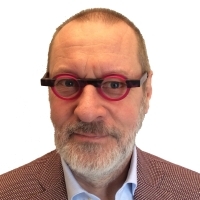 He is also a Prince2 certified Project Manager, ITIL qualified, Husband, Father and drummer. Always fun, and a big chance of winning a cool prize. We got several great giveaways. In 1993 Theo Heselmans started working as a Notes/Domino consultant with version 3. He delighted (and still does) many customers with custom applications. He founded his own company Xceed. He's also a proud member of the Penumbra Group. For over 7 years now, he is responsible for Engage. During these events he gives users, speakers, IBMers and Business Partners the opportunity to share information, collaborate and network. Theo visits other LUGs regularly, and has been to 21 Lotusphere/Connect conferences. He is an avid believer in all things 'Social'. He loves to talk about Notes, Engage, Excel, wine and beer!